Embracing the chaos one day at a time. 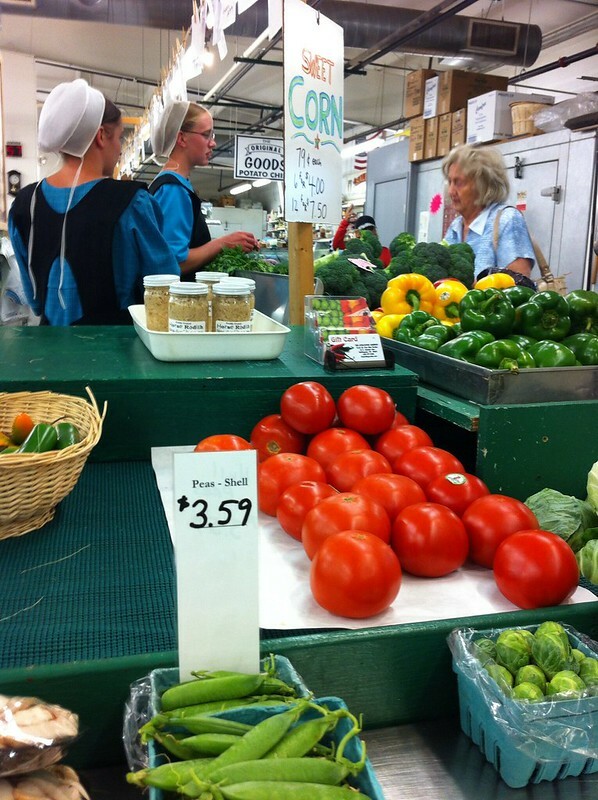 A blog about my adventures in food, photography, fitness and fun. I’ve been wanting to try a recipe post for a while now. It always seemed like a relatively large undertaking. I mean, I love to cook and I love to take pictures, but both things at once? Just a little daunting. I have to say it was a lot of fun but pretty time consuming. I have a deep respect for all of those food bloggers out there, I can tell you that much. 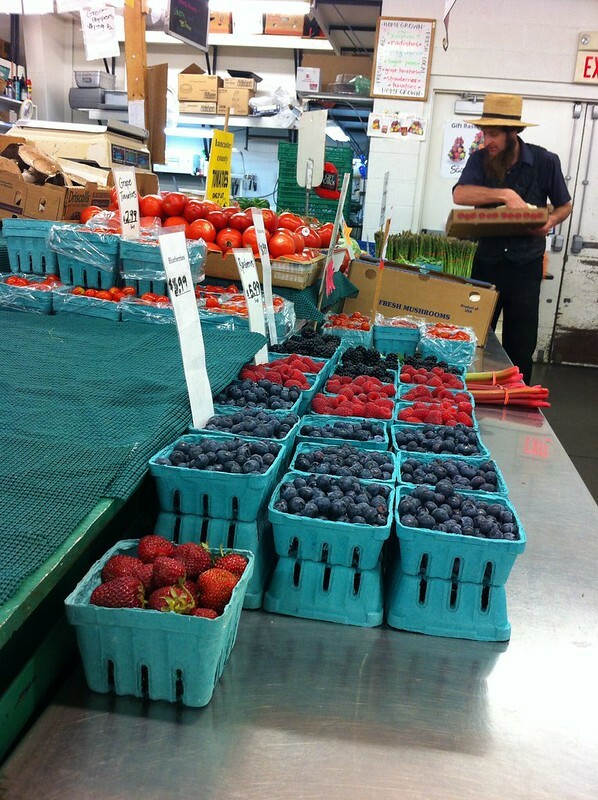 I stopped at the farmer’s market on my way home from work today and I was inspired by all the fresh local fruits and vegetables. 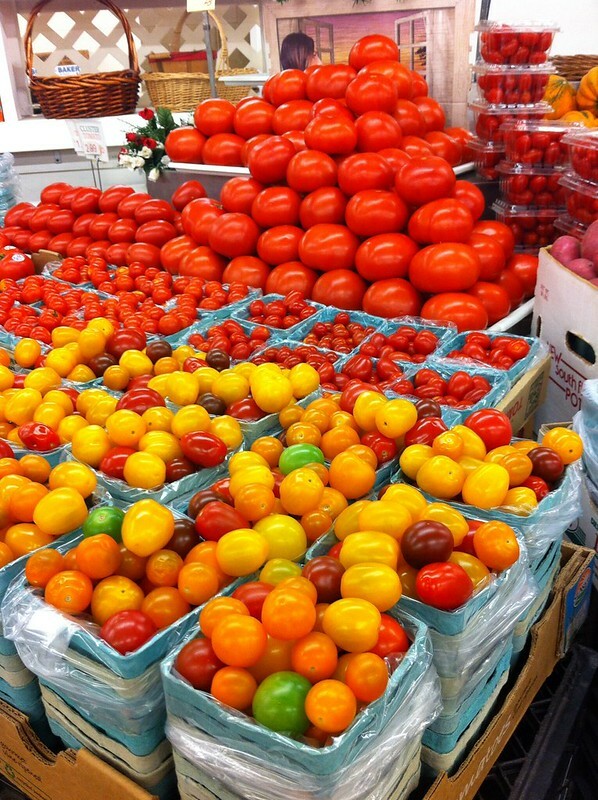 Let me tell you… There are few sweeter pleasures in life than a ripe Lancaster tomato. Okay maybe there are, but just go with it. I’m trying to set a mood here, people. 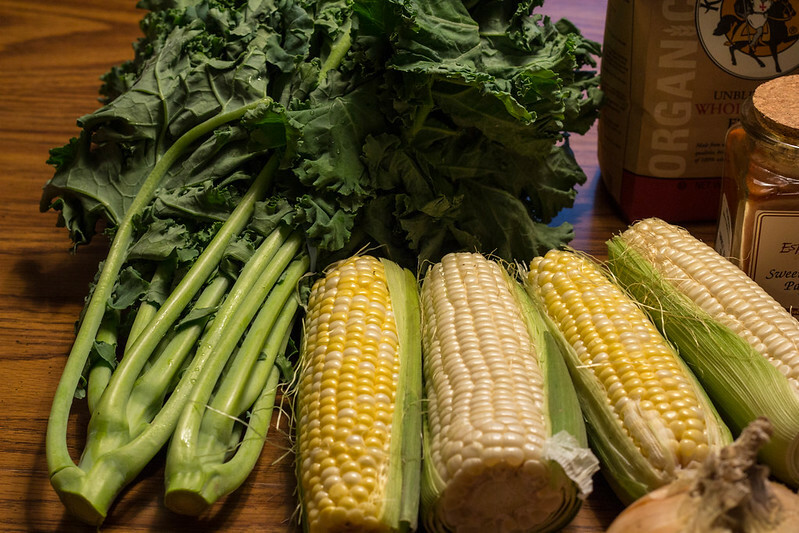 I ended up selecting some kale and local sweet corn to be my star ingredients. First combine all the dry ingredients in a big bowl. 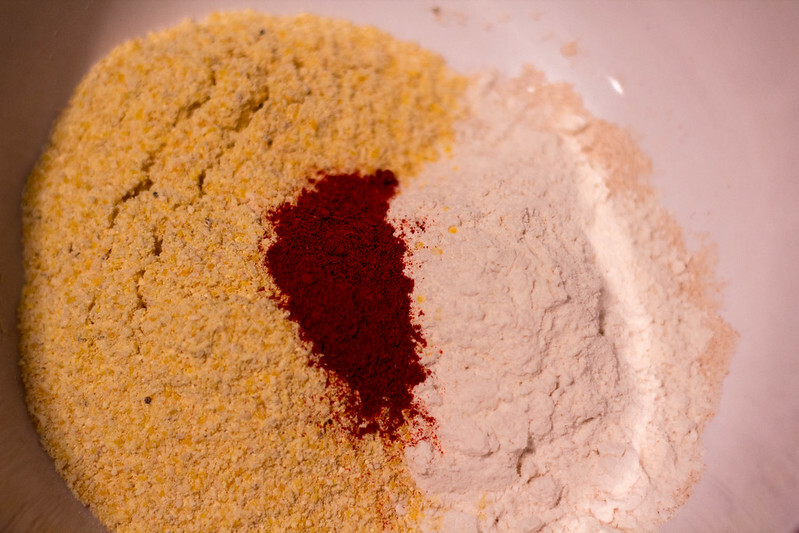 Flour, cornmeal, paprika and salt. 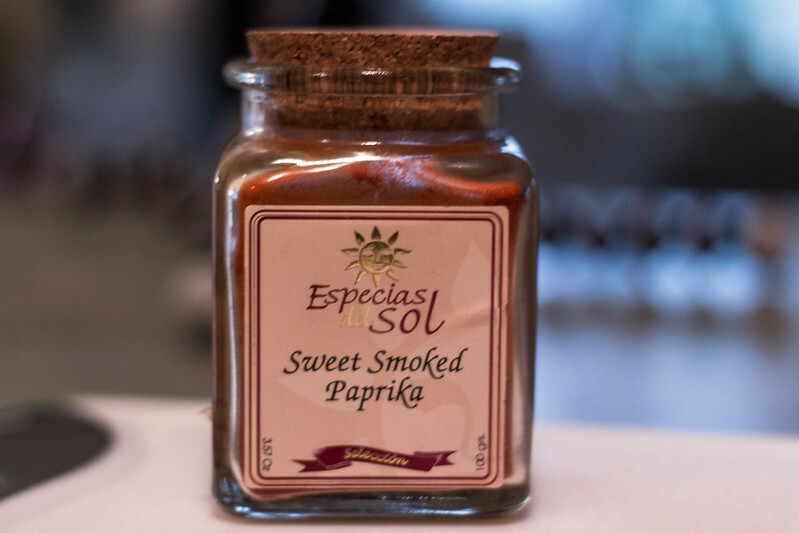 This isn’t just any paprika, it’s smoked paprika. If you haven’t tried it, you must. Believe me when I tell you that it’s amazing. 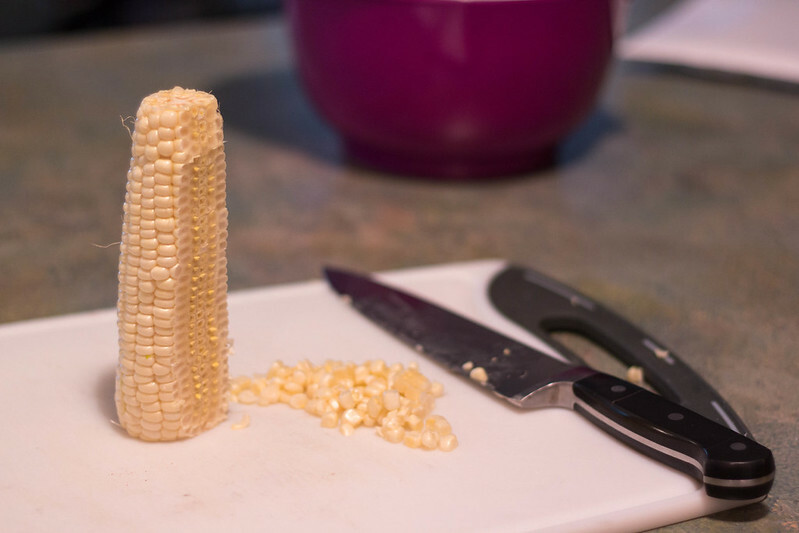 Cut some corn off the cob or use frozen corn if you are in a hurry, I won’t judge. 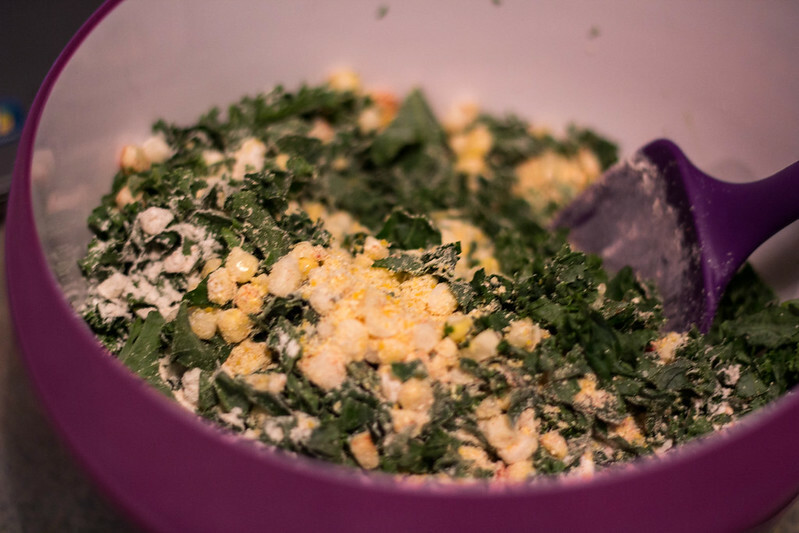 Now mix the kale and corn in with the dry ingredients and set aside. Next, melt some butter. 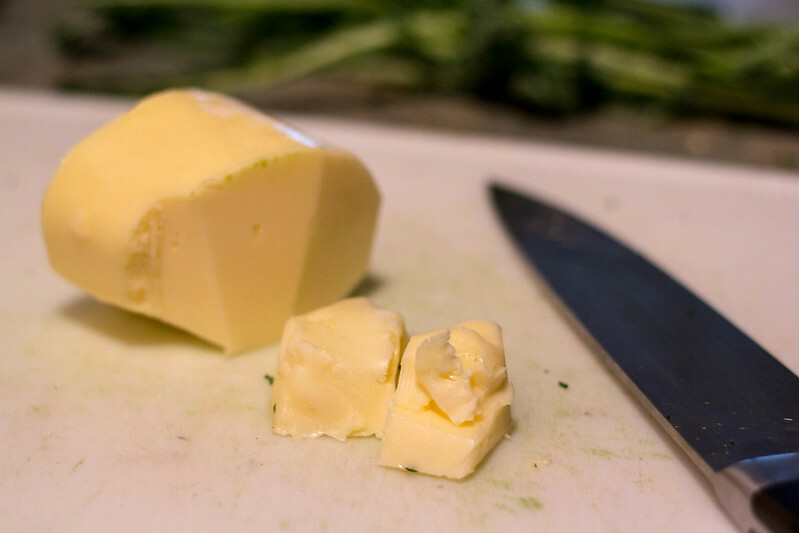 Here I am using homemade butter from a local Amish farm. 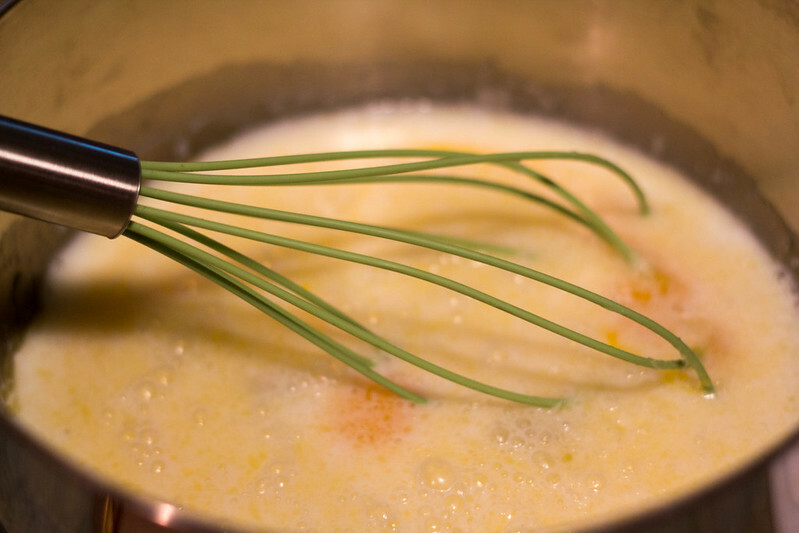 Melt up a couple of table spoons, and mix into the eggs and milk. If you are anything like me when you cook, this is where you take a break to clean up the huge mess you made on the counter. OK, all cleaned up. 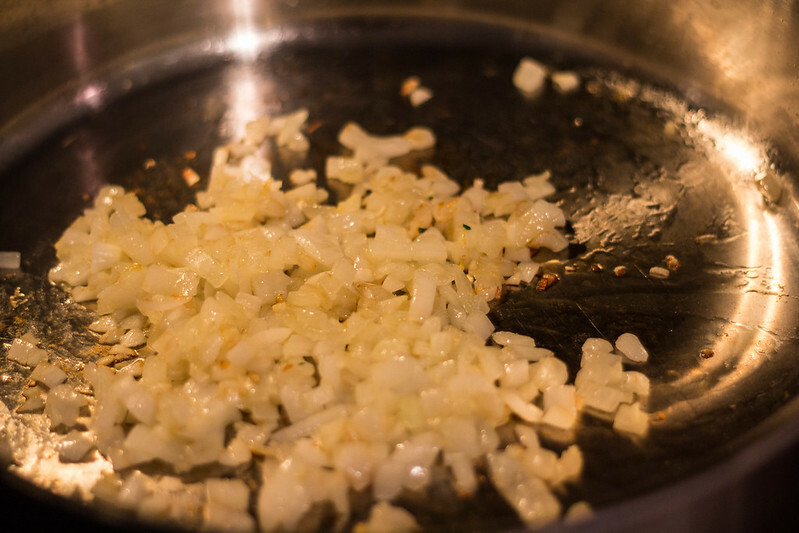 Now heat up a pan with a little olive oil and throw in some onion and garlic. Let them get nice and golden. Now fold those into the dry ingredients. Add the liquid ingredients and stir up everything together. You should be smiling at this point because you are so close to being able to eat them! 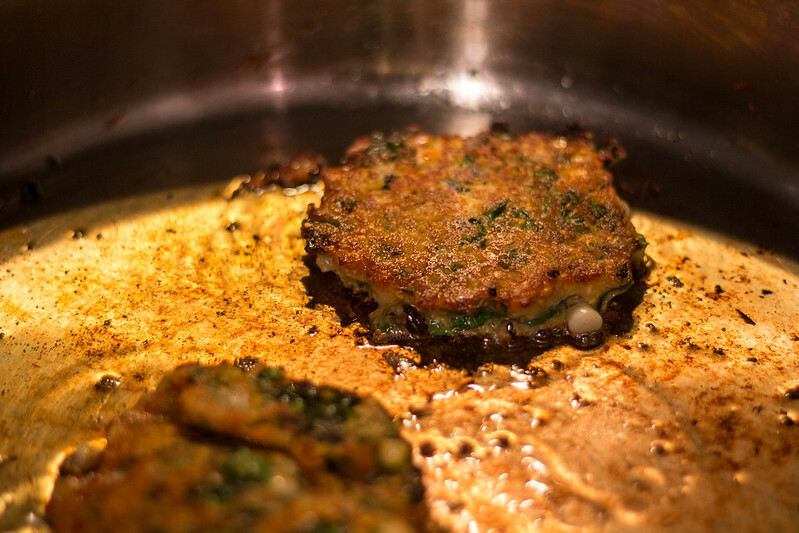 Heat up a little more olive oil in your pan on medium heat and use a 1/4 cup measuring cup to portion out your fritter mixture. They won’t take long, maybe two minutes on each side. 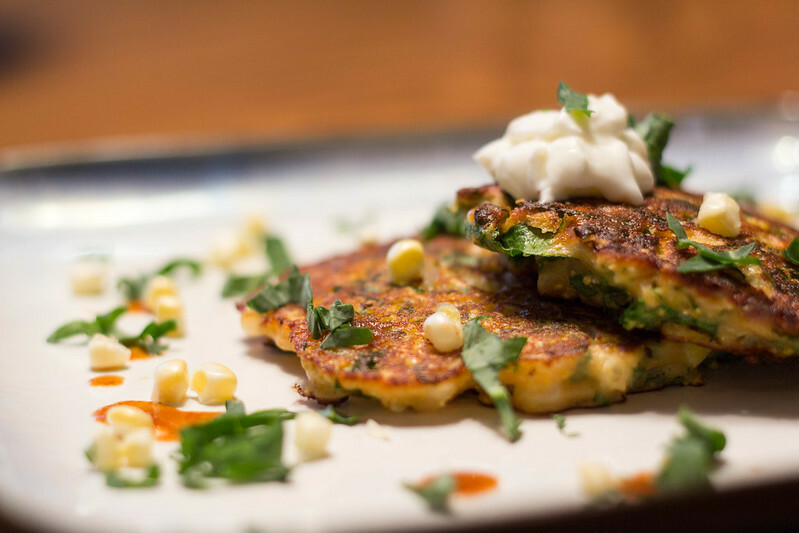 Serve them with some sour cream and smoked chipotle Tabasco sauce, or find your own favorite toppings. 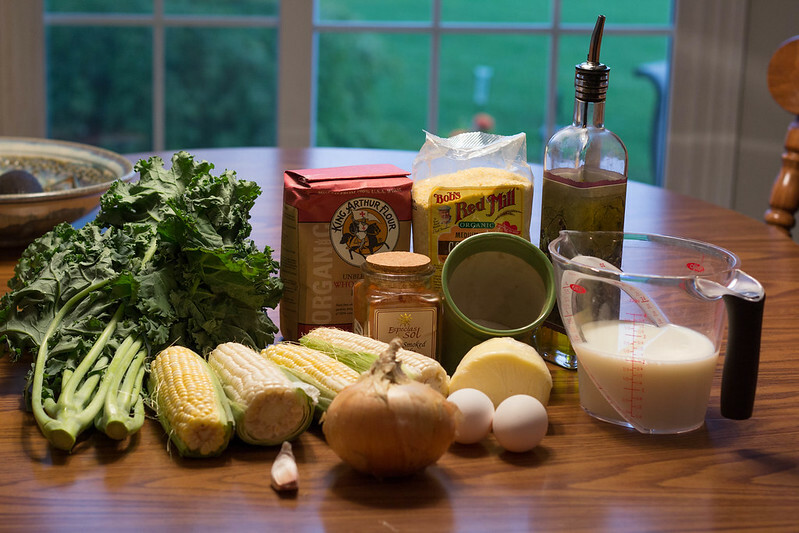 Mix the first 7 ingredients together in a large bowl. 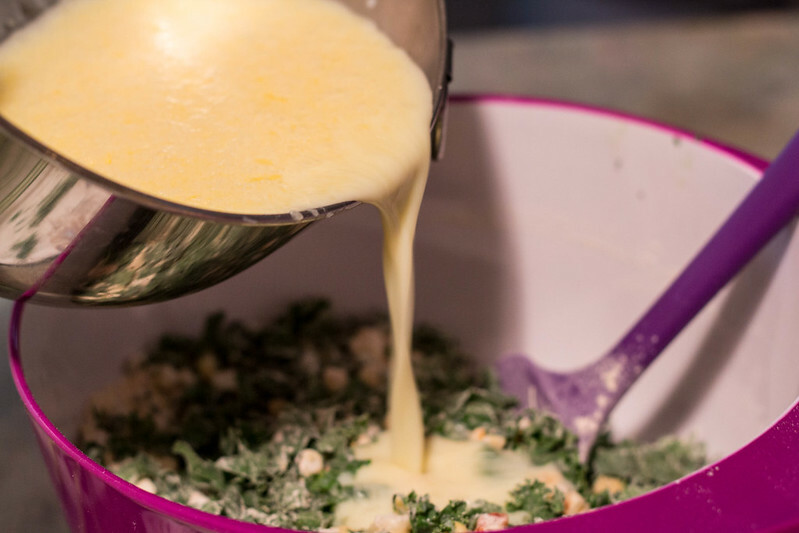 Beat the eggs, and mix in melted butter and milk.In a large sautée pan, heat olive oil over medium high heat. 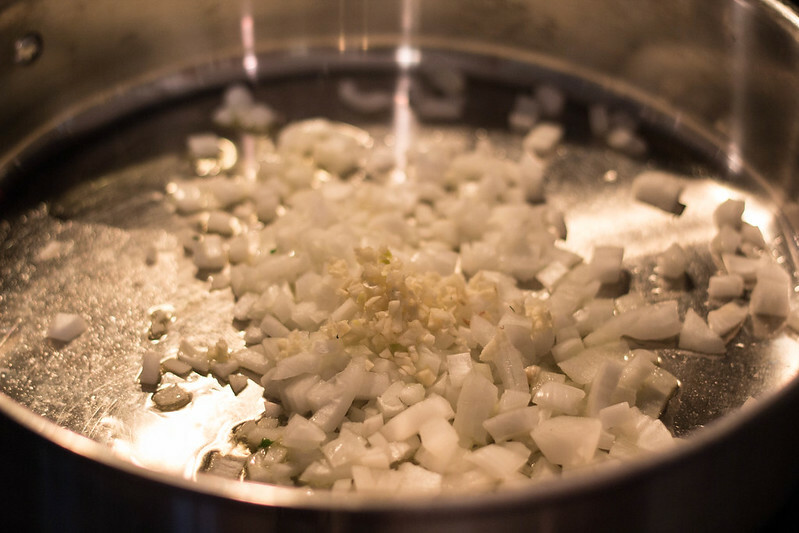 Add onion and garlic, and sautée about 3 minutes or until golden. 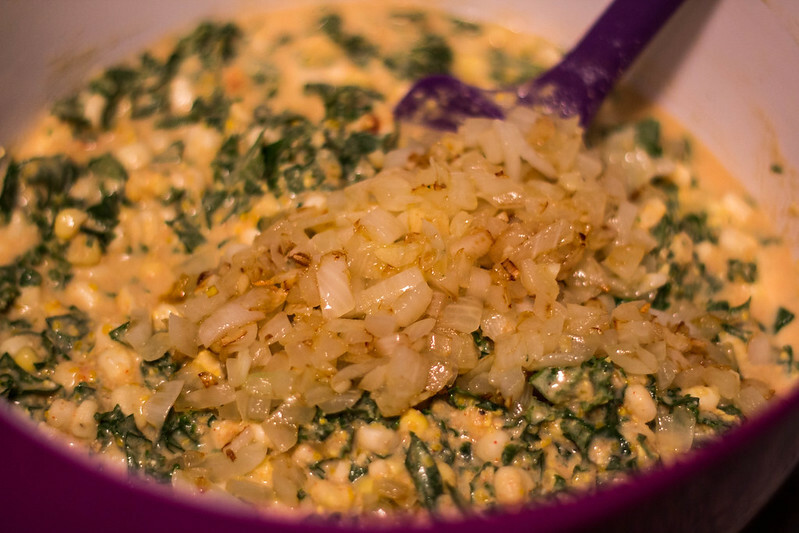 Combine onion and garlic with the other dry ingredients. Add the milk mixture to the dry ingredients and fold together. 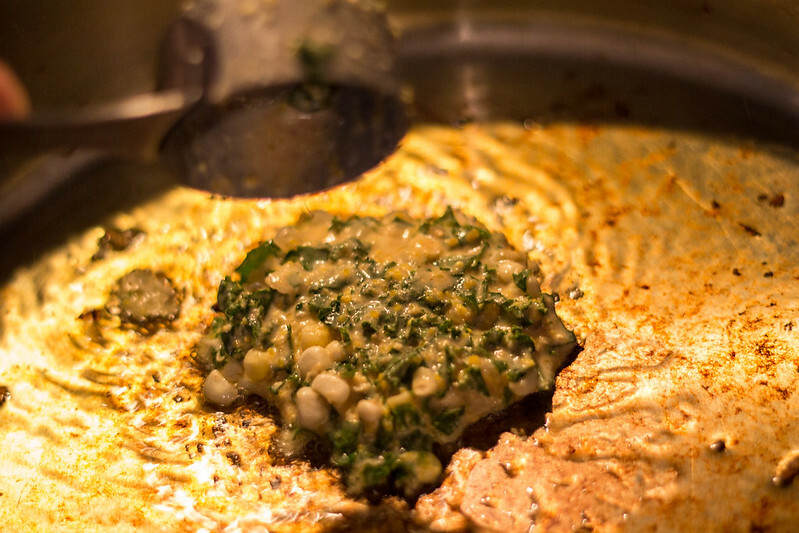 Heat your pan to medium to medium high and coat it with a thin layer of oil. Use a 1/4 cup measuring cup to scoop out the batter. Fry about 2 minutes on both sides until browned. 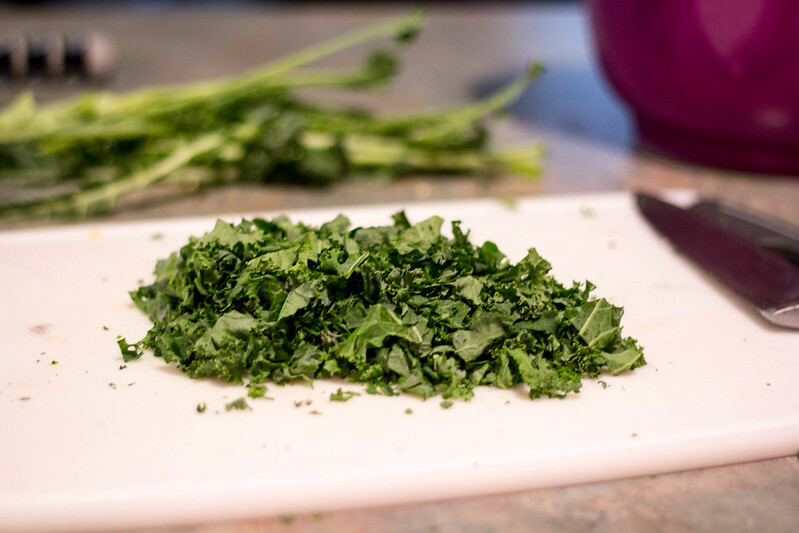 Remove from pan and place on paper towels to soak up extra oil. 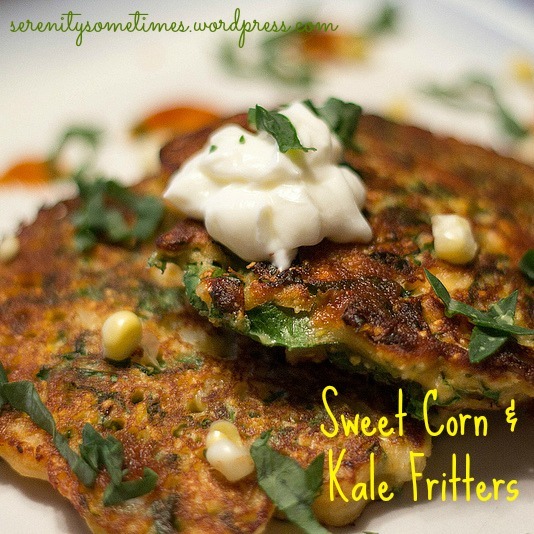 Categories: Food, Photography, Recipes | Tags: clean eating, cooking, farmer's market, healthy, kale, recipes, summer, sweet corn | Permalink. Happily married, pets, no kids. Relatively boring desk job. I blog to nurture my creativity and have a little fun. I love cooking, taking pictures, and general shenanigans. Are you kidding? We just got home from dinner and I would gladly gobble that dish down! You are an awesome cook!! OMG! That looks so good! 🙂 I’m going to try that out one of these days! Thank you. Let me tell you, I had to stop myself from totally pigging out on them! Check out my Flickr Page!